SAMPLE OUR FRUITY FLAVORS: One box each of our delicious fruity herbal teas--Meyer Lemon, Acai Berry, Wild Raspberry Hibiscus, Lemon Ginger, Mango Passionfruit, and Strawberry Pomegranate Red. You're sure to love our sweet, tangy, fruit flavored teas. 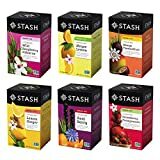 MORE FLAVORS TO TRY: If you enjoy our Stash Tea Fruity Herbal Tea Assortment, you should also try Stash Soothing Herbal Assortment, Stash Fall for Autumn Tea Assortment, and Stash Organic Tea Assortment. 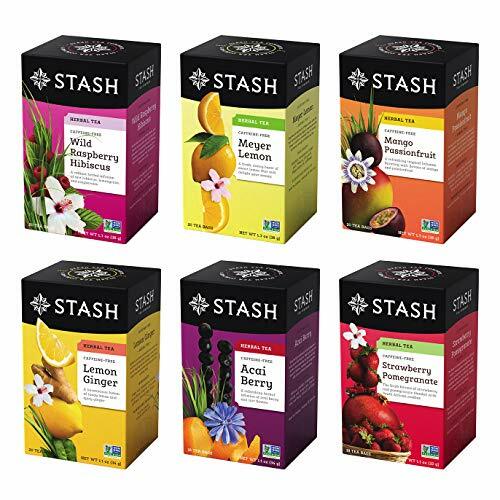 Stash Tea has a favorite tea for any tea drinker.